When a person dies, that person (the “decedent”) may or may not have left a will. If the decedent did not have a will, Maryland law determines how the decedent’s property will pass to the family of the decedent. If the decedent had a will, whoever has or finds the will of the decedent is required to file the will to the Register of Wills in the county where the decedent made their permanent residence (or “domiciled”) at the time of death. A will has no power until it has been admitted to probate. In Maryland there are two kinds of probate – administrative and judicial. Administrative probate is for uncontested wills and is handled by the county register of wills. Judicial probate is usually for contested wills and is handled by the county Orphan’s Courts. Decedent’s largest creditor or other people named in the will. When the register of wills or orphan’s court appoints a personal representative, it grants the representative letters of administration. Letters of administration empower the representative to distribute the assets in the estate. Assets of the estate are generally distributed after payment of administration expenses, funeral expenses, inheritance taxes, and other debts of the decedent according to the will. If the decedent didn’t have a will, the decedent’s property will go to the decedent’s relatives (if any) according to Maryland Law. Estates are either small or regular estates. Small estates are estates that are worth $50,000 or less. Regular estates are estates valued at more than $50,000. If the only heir is a spouse, small estate status extends up to a value of $100,000. The personal representative pays the debts of the estate, distributes assets of the estate, reports to the court what he or she did, and closes the estate. 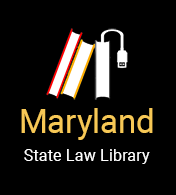 The court rules for estates administration are found in Title 6 of the Maryland court rules.